Engaging employees with effective internal communication is an important tool for all businesses. The core function of internal communications is to share information and to make sure that all employees are on board with the values and goals of the company. Not only does it increase profits, but it helps in creating relationships between employees, increases productivity, and makes employees more satisfied and engaged. For companies looking to improve their internal communication practices, there are three things they can do to start. Open access – Companies need to make sure that necessary information is not just shared at orientations or trainings and then buried away and forgotten. Information needs to be easily accessible by all employees across every aspect of the organization. Think horizontal and vertical – Internal communication improvements need to occur horizontally (between employees) and vertically (between employees and management). Improving communication at all levels will make people feel more connected and provide opportunities for collaboration. Plan ahead – Improving internal communication can be costly at times. Leaders and managers need to do a cost-benefit analysis and budget accordingly. If something is not working, plans should be made to fix it. Even little changes in communication can make employees feel heard. With the beginning steps in mind, there is a new standard in internal communication that heavily relies on technology. 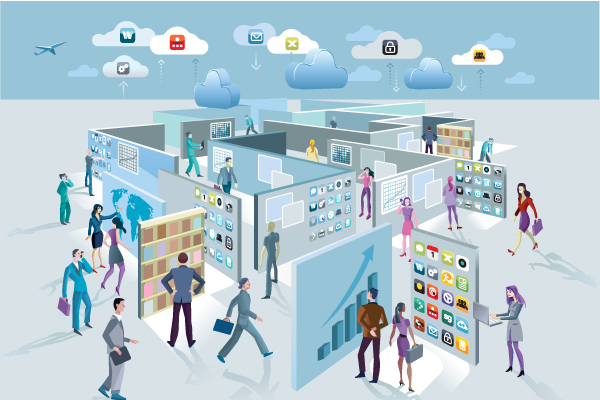 Many companies use systems like Slack, Skype, or Google to communicate and share information. Providing easily accessible information can help keep everyone united in the goals of the company and the change process. It can also help keep everyone informed about important news that affects their personal and professional lives. Some of the tools we referenced in a recent article on engaging and managing remote employees are great for information storage and sharing. These systems can be especially important to companies with multiple offices and when face-to-face meetings are impossible. While using these types of systems are becoming commonplace, important information may get ignored or lost in all the screens or programs that employees look at on a daily basis. In a recent survey of communication professionals, 53% stated that employees expect companies to communicate through video. 92% said that video has become a very important aspect of internal communication. Not only are videos expected, but they are also beneficial in that they can make the information more interesting and more distinct. Having live-action or animated videos helps the information more unique. Employees will take notice and be more focused on the material, helping them absorb it better. Videos can also restate the company brand and boost morale with positive energy. Some companies have used video to feature employees who deserved recognition or interviews with happy customers. These videos can help keep employees engaged and motivated to do well. There is so much information that a company has to share that sometimes not even videos work to making it engaging. Some companies have started to share some types of information in an interactive way. Companies can use physical objects placed in staff areas to entice employees and make them curious enough to see what kind of information is being shared. Hilton Hotels used suitcases to share information about employees receiving an extra day of holiday time. The employees could look at the suitcases and various other luggage tags to learn about the extra day and other benefits. If companies think outside the box, they can create an office design that supports and reinforces the missions and values of the company. The communication is through the physical elements of the workspace. shapes of clouds, furniture in the shape of boulders, and garden elements on the floor and walls. Looking at data is often necessary for many businesses. But many employees may see a spreadsheet full of facts and figures and glance at it for a few minutes before closing. Infographics are a fun and eye-catching way to relay information to employees in an engaging manner. Companies have found that using infographics has helped employees recognize and understand key elements of the data. Good employees are of great value to a company. Many companies have started marketing to their employees like they market to customers. They provide high-quality brochures and books, while also creating clear channels for feedback. These brochures can help employees acquire and retain information. Not only does a nicely designed brochure or book attract attention, they also show employees that they are a valued and important part of the company. There’s a saying, “What’s old is new again.” This can apply to internal communication as well. Sometimes new things become so commonplace that going back to an old way of doing things can be different enough to attract attention. Noticeboards can be a great way to share information about meetings, events, safety concerns, or other important information. Some nice paper, a cool font, or a fun picture placed on an updated and well-organized noticeboard can be a very creative way to share lots of information. Electronic communication has replaced so much human interaction that a face-to-face meeting can be just what the team needs to get new information and to find motivation. Meetings should only include necessary employees and can be energized through an activity, a destination, or they can be walking meetings. Old school or new school, intermediate or advanced, the only way to know if your internal communication strategy is working is to measure its effectiveness. Some leaders use data on productivity, profits, and retention rates to determine how their internal communication strategy is working. Others use surveys on employee engagement and satisfaction. Effective internal communication is an evolving process and leaders need to give it the time, energy, and creative resources it deserves so that it continues to motivate and engage employees. 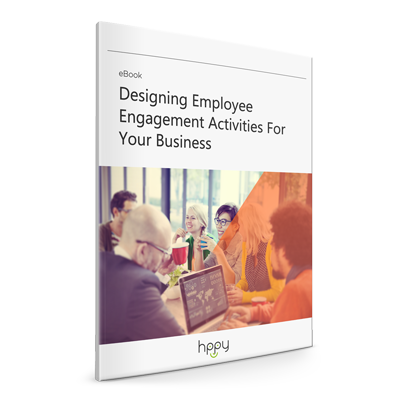 Download the eBook and get practical ideas on designing employee engagement activities for your team!